As our guest you enjoy free use of wireless internet as well as free phone calls within Germany. If you stay 2 weeks or longer yout will get a bonus of one daily rate for the second and every additional full week. 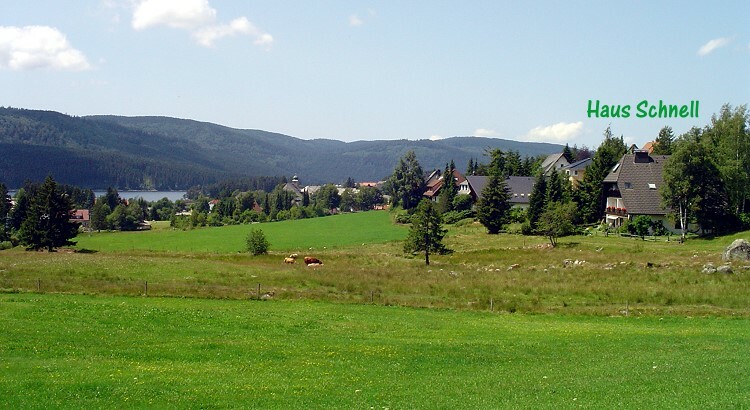 Our house is situated on the outskirts of the village Schluchsee in the southern Black Forest and has the particular advantage of a very quiet location off the main streets. The village center or the lake can be reached within fifteen minutes. The apartments are comfortably furnished and equipped with the necessary comfort for discerning guests. Each apartment has a fully equipped kitchen, cable TV, WLAN, free telephone (calls to Germany!) and an open fireplace. All apartments are facing south and have balconies with unobstructed views of the lake, forest and grazing land. In the year 2010 Our apartments have been rewarded by the Hotel and Restaurant Association with the highest rating award of 4 stars!